Gauhati University PG Entrance 2017- গৌহাটি বিশ্ববিদ্যালয় পি জি এন্ট্রান্স পরীক্ষা: Guwahati University has announced the notification for Gauhati University PG Entrance for admission in post graduation courses such M.Sc, M.Tech, MA, M.Com etc. Earlier the authorities have decided to conduct the examination from 20th to 23rd July 2017. But now in response to the Honourable Gauhati High Court order under Ref. Case No WP(C) 4125/2017, all Entrance Tests for the PG Admission 2017-2018 are kept on hold for the time being as resolved in the meeting of the Admission Committee, GU held on 17-07-2017. 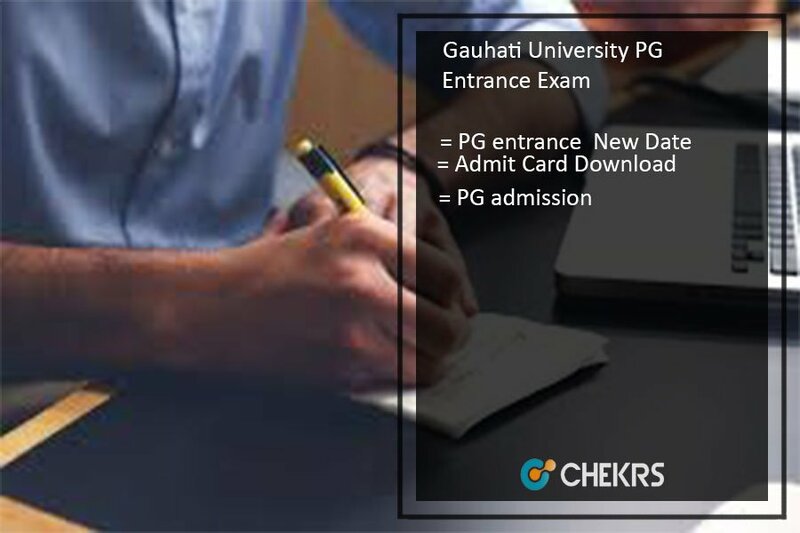 Therefore candidates seeking for PG admission can get here details of Gauhati University PG Entrance Admit Card 2017 along with other information. The authority will soon declare the Guwahati University PG Entrance New Date and thus applicants need to go through the article below for precise details. Guwahati University is one of the prestigious University of Assam which offers admission in various UG/ PG courses. Therefore candidates who have successfully filled up the Application Form and applied for the exam can now get here details of Gauhati University PG Entrance 2017. Currently, there are 326 colleges or institutes which come under this university and therefore University provides admissions for UG and PG Courses on the basis of entrance exam. Therefore applicants who are seeking for GU PG Admission 2017 can get here the details of the exam after it is announced officially. All the eligible candidates who are seeking for Guwahati University Admission 2017 for PG courses must now download the admit card to appear for the exam. Therefore candidates who have successfully submitted the application form and now currently waiting for Gauhati University PG Entrance Hall Ticket 2017 can now download it here by entering the required details. The admit card is an important document as it consists of important details such as Applicant Name, Roll Number, Date of the Exam, name of exam center along with the instructions to be followed at the time of the Entrance Test. Therefore for the convenience of candidates below, we have provided the steps to download GU PG Entrance Admit Card 2017. The exam control authority of Guwahati University has previously decided to conduct its PG entrance Test on 20th to 23rd July, however in response to the Honourable Gauhati High Court order all the PG entrance test are kept on hold, therefore applicants can now get here Gauhati University PG Entrance New Exam Date 2017 and get precise details of the entrance exam schedule for various courses. Therefore all the PG admission aspirants can get here GU PG Entrance New Date after it is released in the official portal. Guwahati University conducts its admission process every year for admission in UG and PG courses. Therefore applicants who have applied for Gauhati University PG Admission 2017 can get here the complete details. Applicants can also get here the direct link to download the entrance test admit card after it is released officially. In regards to the latest updates, keep visiting our portal on regular basis. In case of any query or review place your comments below.